I am all about improving my marriage. I read everything I can get my hands on (books, blog posts, articles) that could offer biblical advice. Frankly, I have gotten a little saturated, partly because it is not like a science equation where you put in A and B and automatically get C, real life doesn’t work that way. As a result I have become a little burned out and skeptical. So it was with reservations that I started reading Wife After God. It actually sat on my shelf for almost six months before I dug in, but once I started I couldn’t put it down! Being a devotional, this book really should be taken a day at a time for the whole month, but it took considerable discipline for me to only do one day at a time. Her insights are fresh, invigorating and challenging! She takes biblically real life principles and challenges you in a way that is both refreshing and poignant. She is real with her own struggles, not to beg sympathy, but to give it and to admonish wives in the truth. 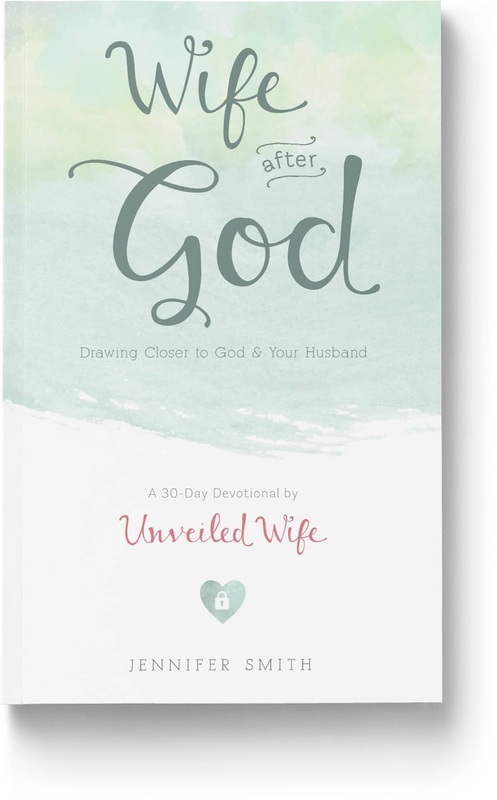 Each devotional begins with verses that center around the focus of the day, followed by thoughts from the Bible, her own life and others that expand on the daily theme in a compassionate but down-to-earth way. Rather than telling you her ideas and why she thinks you should do things her way, she gives God’s plan and truths and shares stories that show the truth and wisdom behind that. Each day ends with a prayer that comes from the heart, a personal challenge to apply the truth from the day directly to your marriage, and journal questions to help you reflect and tie it all together. I found the journal questions especially helpful. They helped me to not only express my concerns and frustrations, but also to see where I was wrong and what I needed to change. I have been blessed for years by her blog, and now by her devotional as well. I would highly recommend this to any wife with a desire to seek God and strengthen her marriage. And I look forward to going through it again soon, myself.